kt literary » Blog Archive » Further Congrats! It’s a week of huzzahs around here! 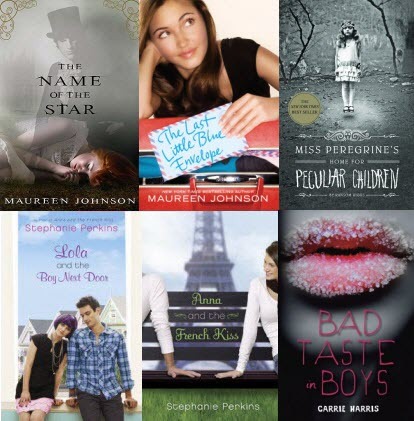 YALSA announced some further lists today, including their 2012 Best Fiction for Young Adults list (plus Top Ten), Quick Picks for Reluctant Young Readers, and Popular Paperbacks for Young Readers. Congrats to kt literary clients Maureen Johnson, Stephanie Perkins, Ransom Riggs, Carrie Harris, and Lili Wilkinson (again) for making the lists! Huzzah!!! Congratulations! Very well deserved! i'm super excited that these got on the list–partially because we get to use BFYA books on our final project in Contemporary YA Realism, so I could potentially use Anna or Lola. I am stoked!